A marble fountain donated to Scone by Thomas Cook commemorates the Federation of the Australian colonies in 1901. 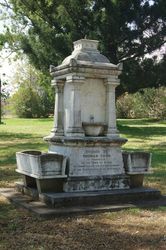 With a view to marking the accomplishment of federation, Mr. Thomas Cook, of Townsville, has presented to the town of Scone a marble drinking fountain, which was unveiled last week by the Mayor (Alderman Shaw). The fountain stands on freestone steps. 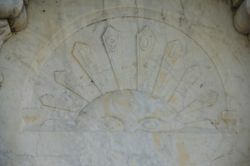 Above there is a moulded marble basecourse, supporting a diminishing die, with heavy moulded top, upon which are pilasters, with carved capitals and panels, indicating the dawn of the Australian Commonwealth. A fine effect is gained by surmounting this with a heavy cornice, the dome-shaped top being of such a nature that it forms a handsome support for an acetylene gas lamp. 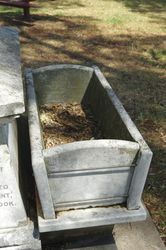 Marble horse troughs are provided on either side. The whole structure (including lamp) reaches a height of 13ft. 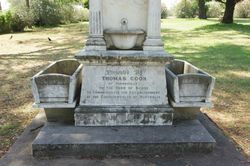 In unveiling the fountain the Mayor said he was glad to be in the position to publicly thank Mr. Cook, on behalf of the people of Scone, for his princely generosity in endowing the town with such a handsome monument. This was not the first time that the town had benefited by Mr. Cook's large-hearted and handsome public spirit. Their hospital, their School of Arts, and their churches would stand out as enduring monuments of Mr. Cook's noble-hearted generosity. They all bore evidence, as did his gift of that drinking fountain, of his warm interest in the welfare of the town of Scone. The Sydney Morning Herald (NSW), 18 November 1901. 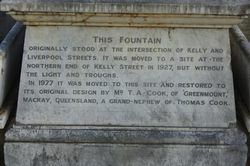 Originally Stood At The Intersection Of Kelly And Liverpool Streets. It Was Moved To A Site At The Northern End Of Kelly Street In 1927, But Without The Light And Troughs. 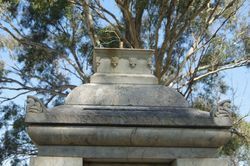 In 1977 It Was Moved To This Site And Restored To Its Original Design By Mr T. A. Cook , Of 'Greenmount,' Mackay, Queensland, A Grand-Nephew Of Thomas Cook.